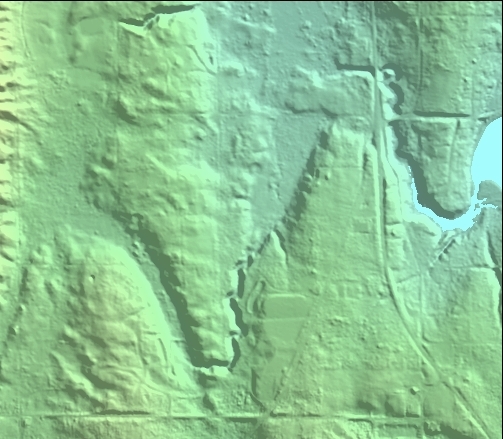 1) Comparison of standard USGS photogrammetrically-derived topography with LIDAR topography. All views are of same 2-km-wide area. Note how photogrammetrically derived topography (A and B) fail to show that drainage from small basin in left-center of map area is into north-flowing creek just to right of center. 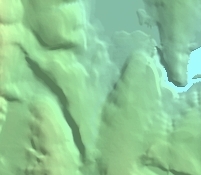 See pugetsoundlidar.org for more info.